Course Description: SOLIDWORKS Assembly Modeling training course teaches you how to maximize your use of assembly modeling capabilities of the SOLIDWORKS mechanical design automation software. SOLIDWORKS Assembly Modeling training runs over a span of two days and covers ten lessons which include advanced mate techniques; top-down assembly modeling; assembly features, smart fasteners and smart components; and assembly editing among others. 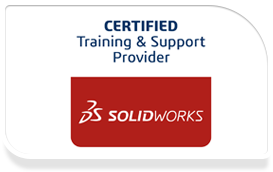 SOLIDWORKS Assembly Modeling training course is ideal for users who wish to enhance their skills of assembly modeling.